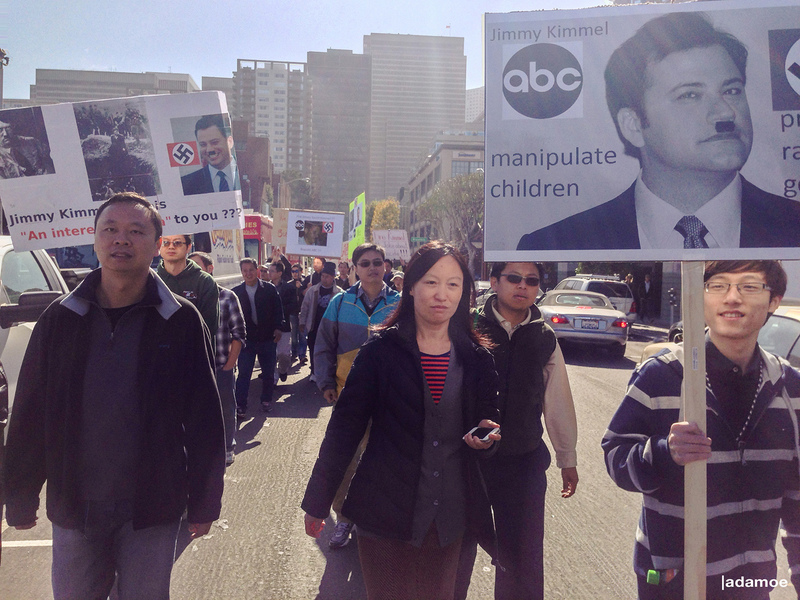 Angry Chinese people protesting in San Francisco over the joke Kimmel made on his show where some kids said we should just kill off the Chinese. Any show publicity is good publicity I suppose, but really what we can take away from this is that some people needs to ease up on the use of black sharpie, it just isn’t really original anymore. First Obama now Kimmel. And also the guy in the front right side of the image really just seem happy to be a part of something. good for him.